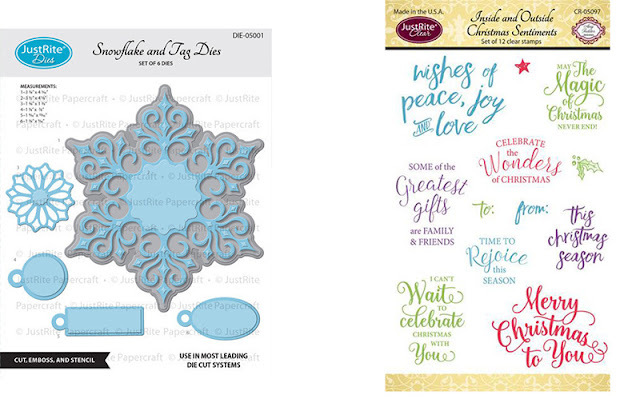 JustRite Papercrafts has some new Christmas stamps out. 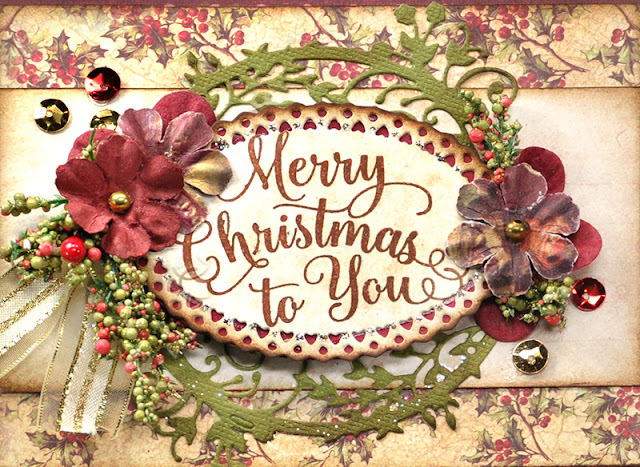 Too early to think about Christmas cards you say? Nonsense. People need time to think about the purchase, make the order and receive them in the mail. It's a process. 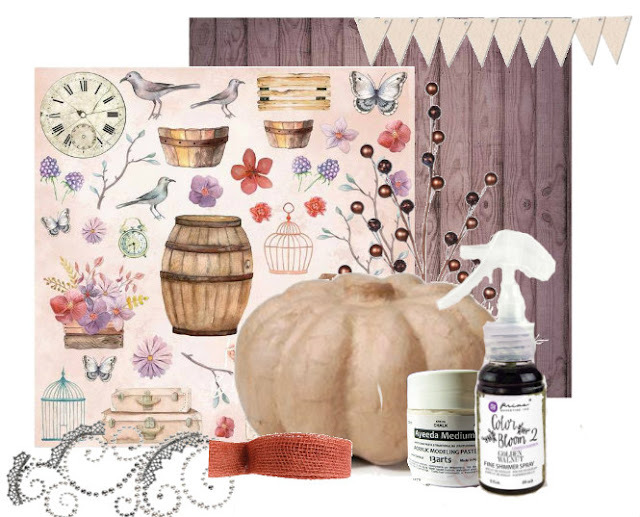 Don't forget that crafting time requires some free time so that needs to be worked into the schedule. I understand all this - which is why I am showing you Christmas cards right now. Like I said, it's a process and for me, it is always best to start early. Extra bonus??? 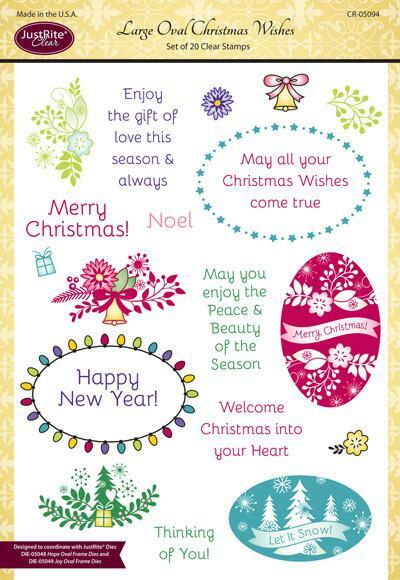 JustRite Large Oval Christmas Wishes Clear Stamp is currently 50% off! (for a limited time only). 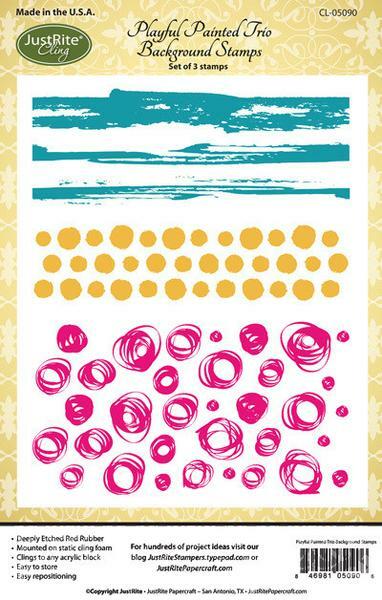 Now for my paper choice...I had an 8x8 paper pad of Graphic 45's 12 Days of Christmas that I pulled out to use. The colors are fabulous. 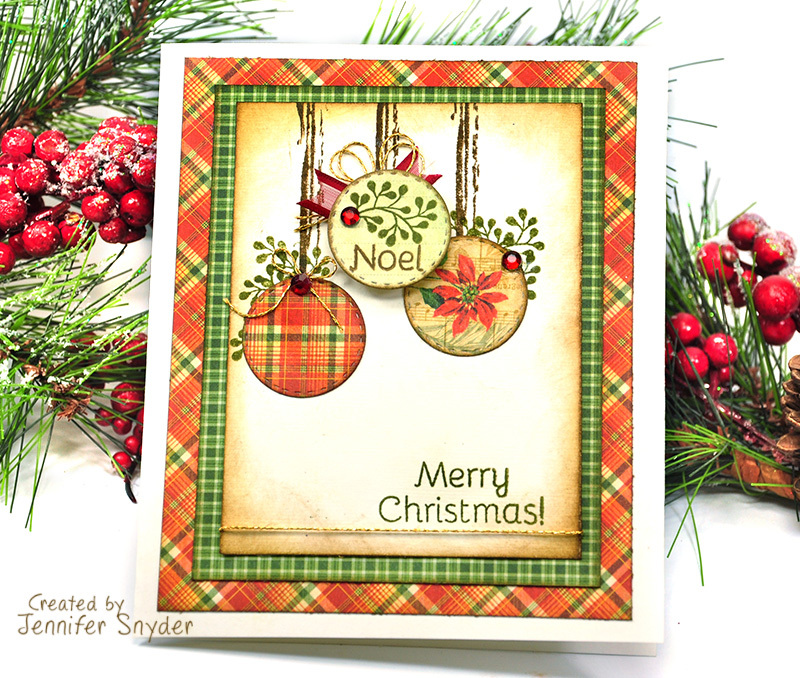 I used JustRite Large Oval Christmas Wishes Clear Stamp to create the little stamped greens on the ornaments, the "noel" and the "Merry Christmas" sentiment. You can see the stamp set right below. What I especially love about this particular set is that it can be used to create cards that are religious, for Christmas, and also for general holiday/ seasonal wishes. 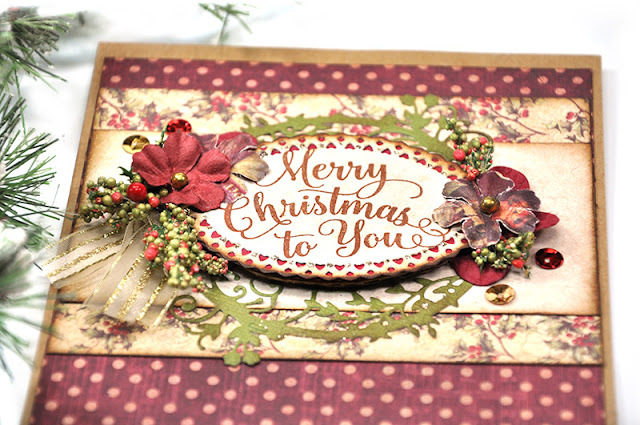 In addition to the Graphic 45 papers, so festive and cheery, I decided to keep the embellishments to a minimum and let the paper and stamping act as the main elements. 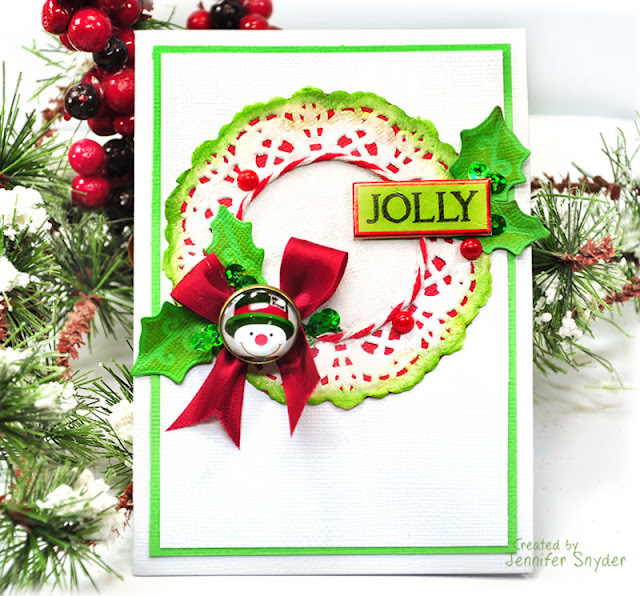 The tiny "sprig of greens" stamp is really perfect for filling in my ornament grouping. . I used this stamp , JustRite Playful Painted Trio Background Stamp, to create the strings holding the ornaments. 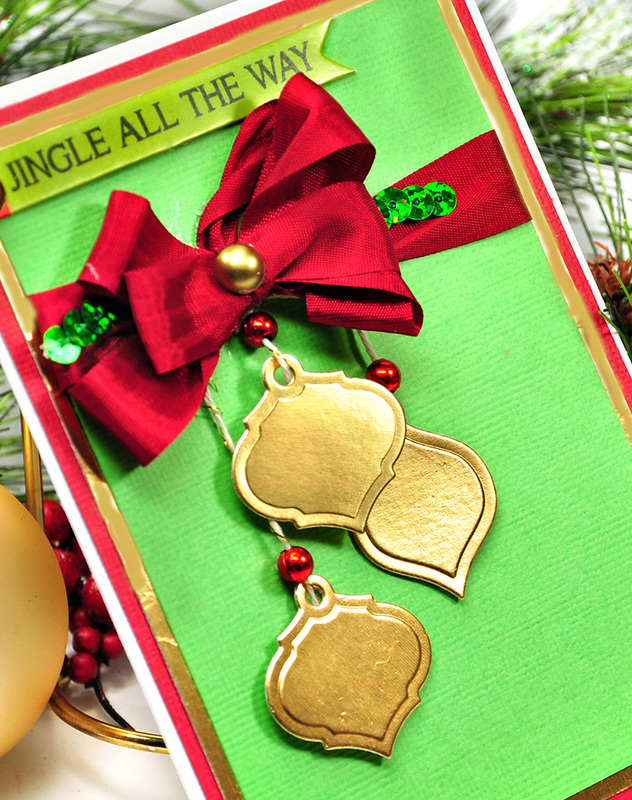 This card is not super fancy and is rather easy to make. I guess that is the point. 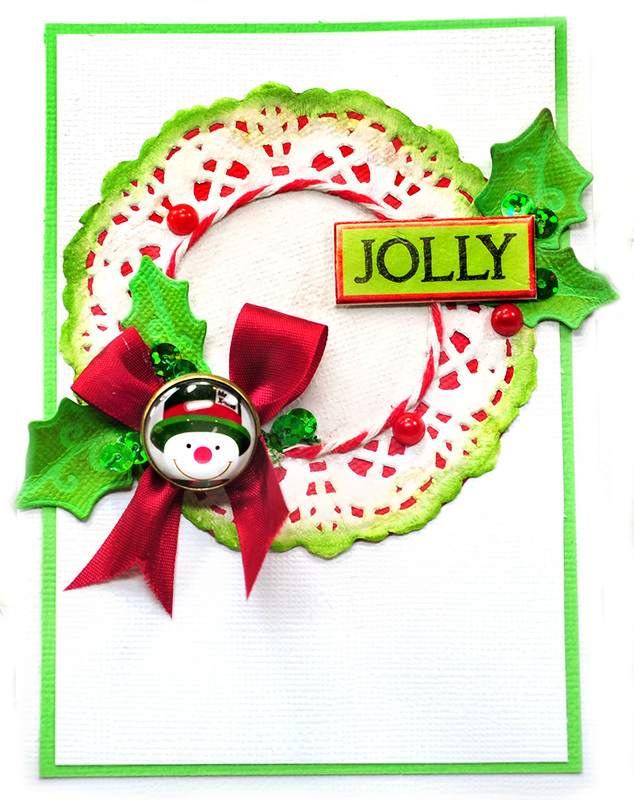 If you are making 30 cards, they need to be easy and be something that can be popped in a n envelope to be mailed. 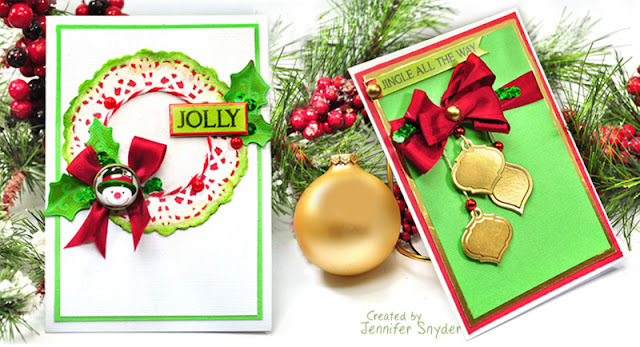 Today I am sharing two cards that I made from my Spellbinders Card Club kit. 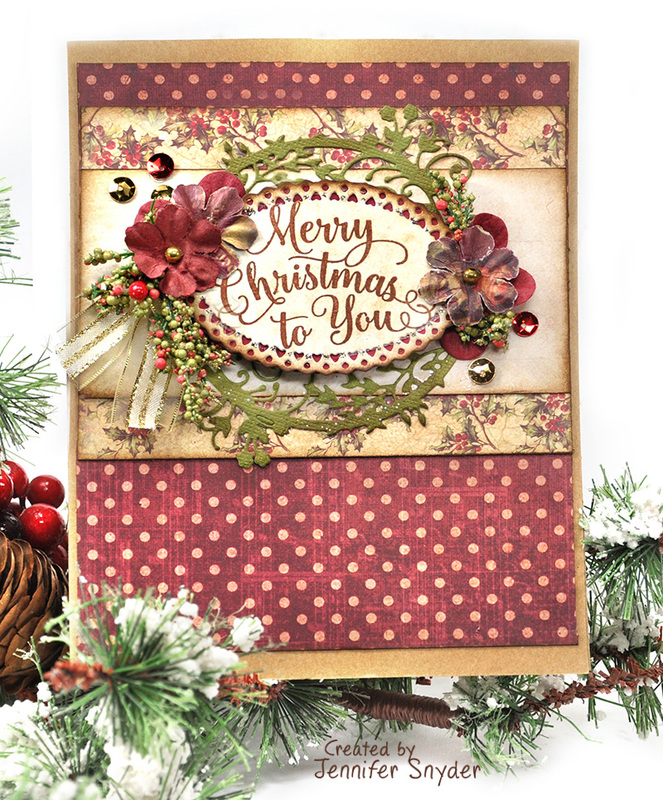 This set of cards was created using the Spellbinders Holiday Christmas 2015 card kit. This is chock full of darling dies from Spellbinders. They are perfectly sized for cards...I love them. 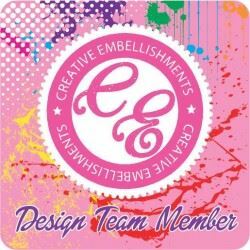 Share your Spellbinders Club Creations! 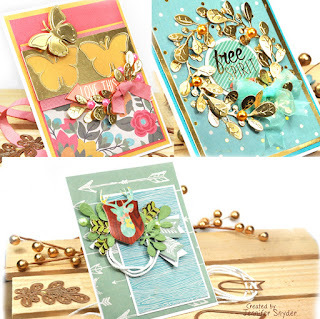 Wanna see some other ideas from Spellbinders Card Club kits? 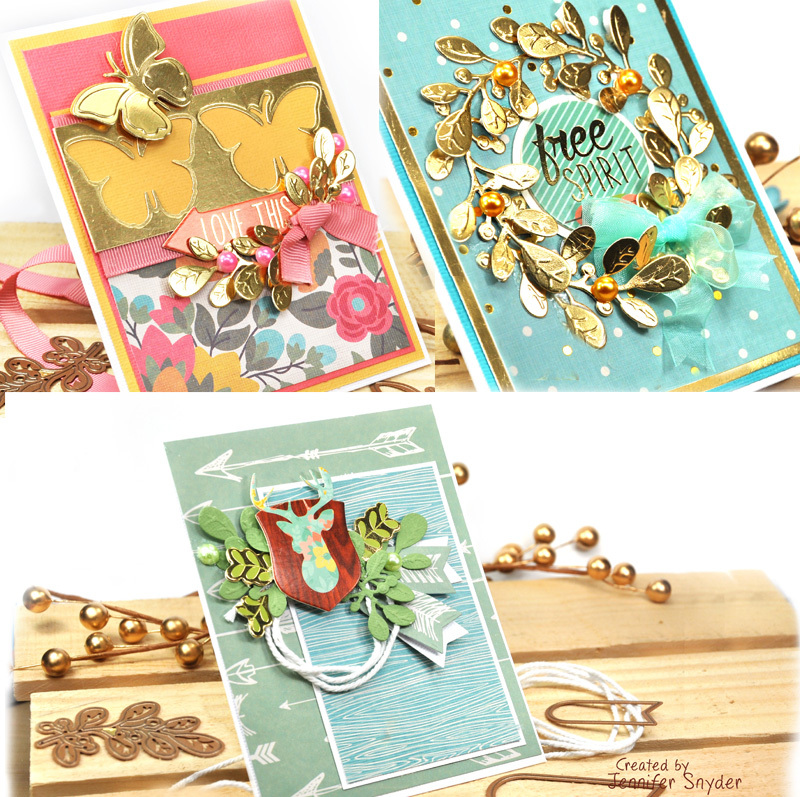 These are a few samples I created from I made using Spellbinders Mint, Teak, Pink & Yellow Happy Themed 2016 Card Kit - KOM-DEC16. 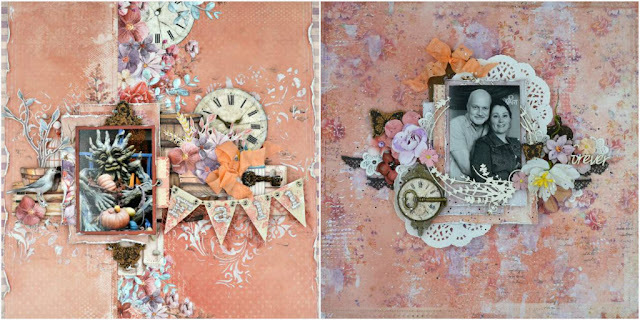 You can find more samples of cards from this kit on my blog post here. 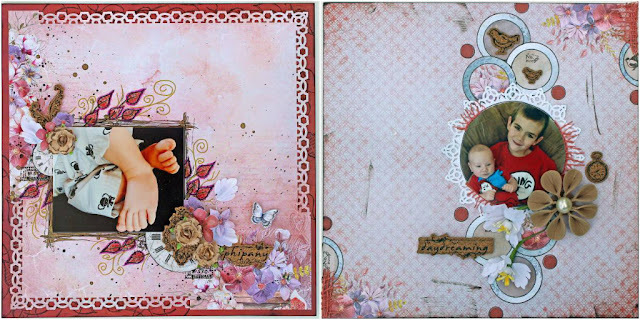 These are some cards I created using Spellbinders Card Club for Sept 18 that is available . You can find them on my blog post here. 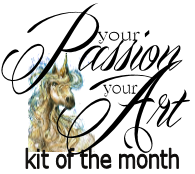 I have two super short videos showing the Die kits from July and April. Got 4 mins? I promise 4 min of quick moving crafty entertainment. 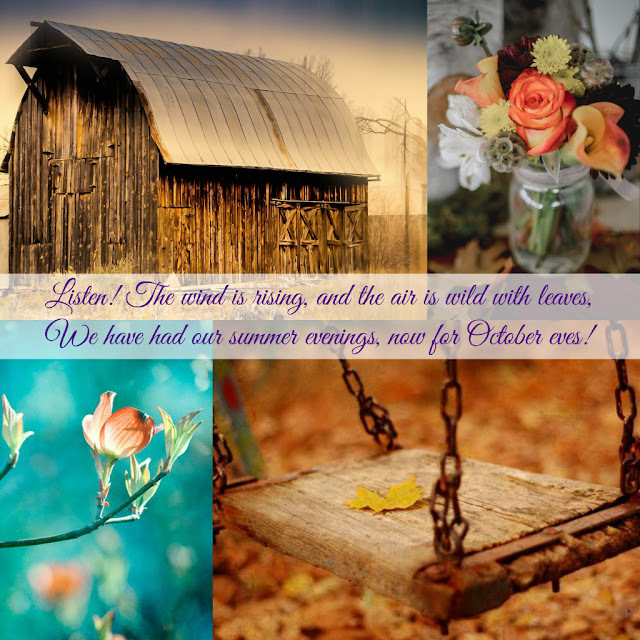 I'd especially love if you would leave a comment on the video.so the Spellbinder's folks know I'm working hard. .I honestly love this jolly card. It makes me smile. I think the snowman guy does it - that infections frosty smile. I grabbed the paper doily from Marker's Mart. 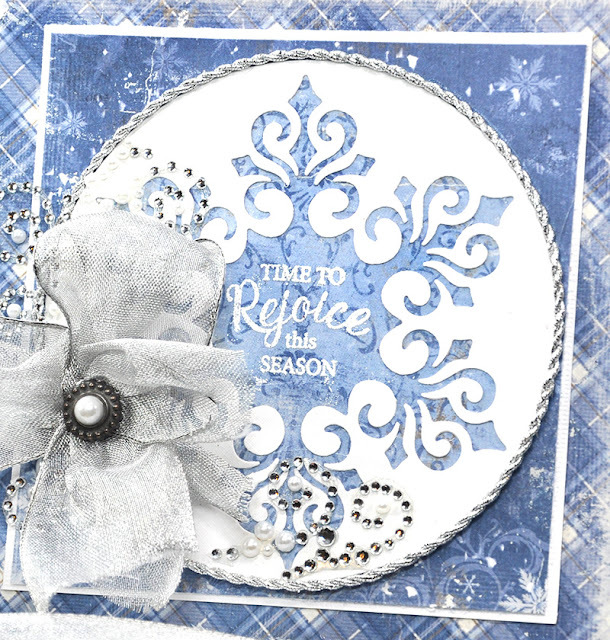 I glued red cardstock to the back of it and simply trimmed around the doily. Then I added green ink to the edge of the doily. 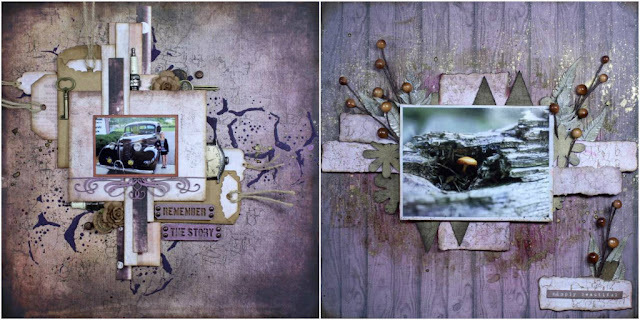 I used Tim Holtz Distress Inks in Mowed Lawn and Twisted Citron because it blended well with the greens in my card. 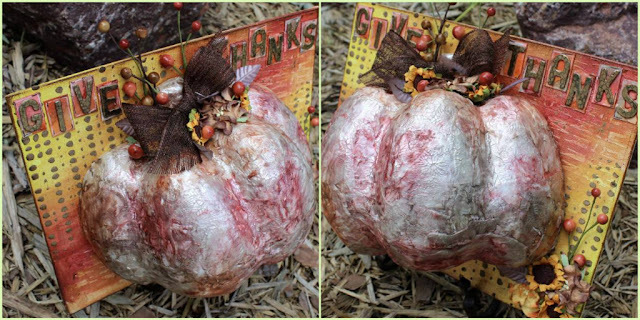 Next I used the red and white stripped bakers twine and glued it around the circle of the doily, defining the appearance of a "wreath' a bit more. I'm on a roll and I don't want to stop till my Christmas cards are done. 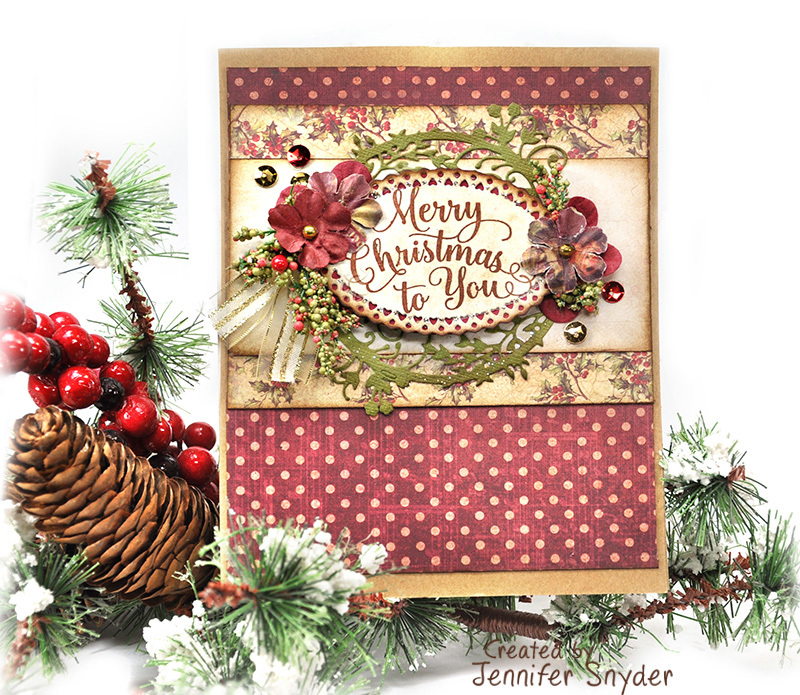 I received the new Christmas stamps from JustRite so I am stoked to keep making cards and get ahead of the upcoming season. It's perfect card making weather because it's rainy and chilly where I live. Soon the bustle of the holiday season will be upon us and I have an unappealing habit of not getting my cards done or sending them out after Christmas if I do manage to finish them. I vow this year will be different. I am off to a good start. 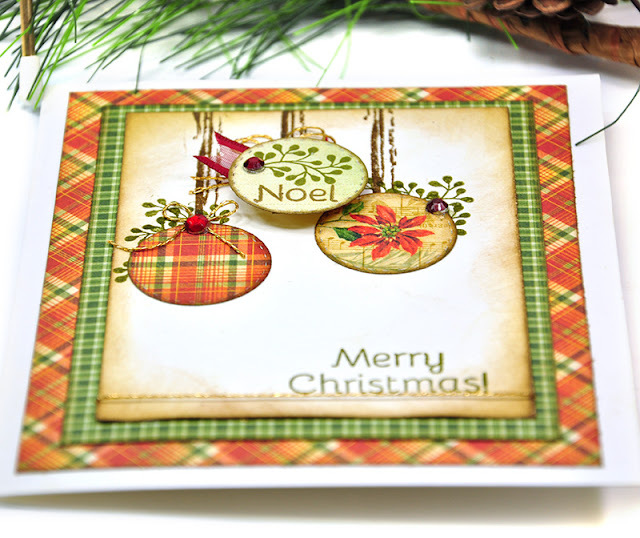 The new line of JustRite Papercraft sentiment stamps were great to have handy for my cards. 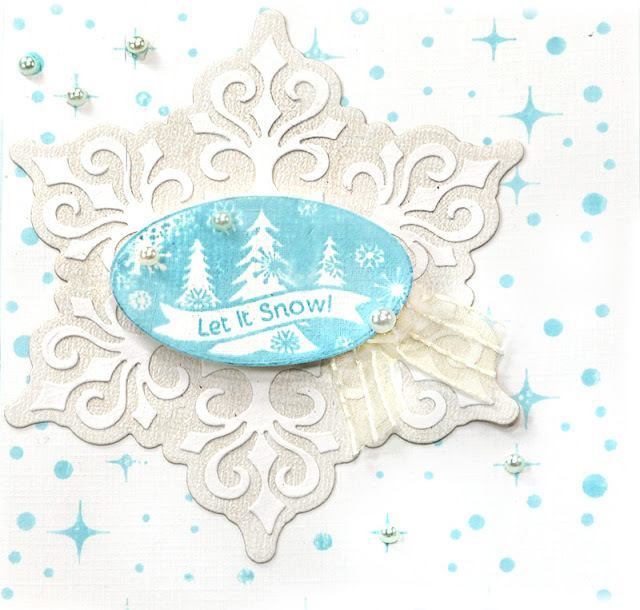 This card features two of the JustRite products - the JustRite Inside and Outside Sentiment Clear Stamps , and the negative space from the Snowflake and Tag Dies . 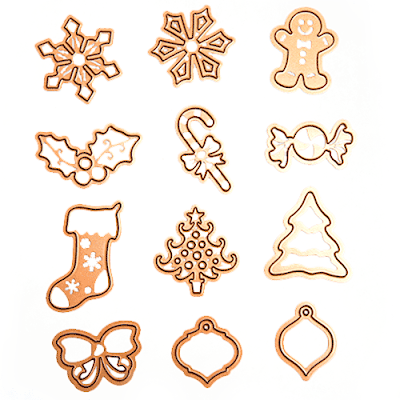 The negative would the the piece leftover after the die if removed from the paper. 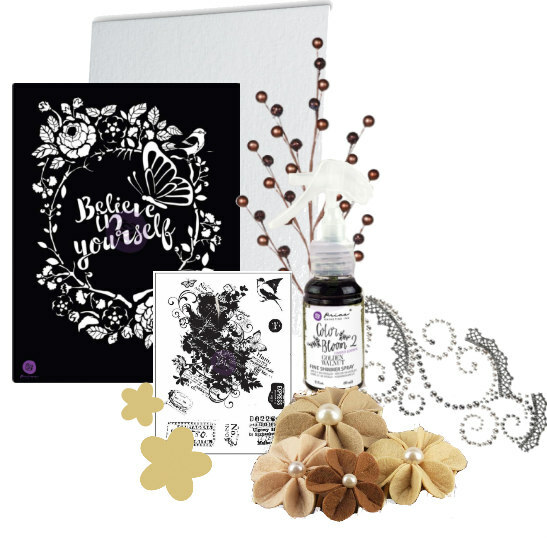 The sentiment was stamped using clear embossing ink and then covered in super fine white embossing powder and heat set with the heat gun. The paper used on this card is from Maja Design's Vintage Frost Basics collection. As the weather turns colder and the leaves drop from the trees, we turn our thoughts to crisp autumn activities. I'm not talking about raking leaves...heck no. Someone else can do that. 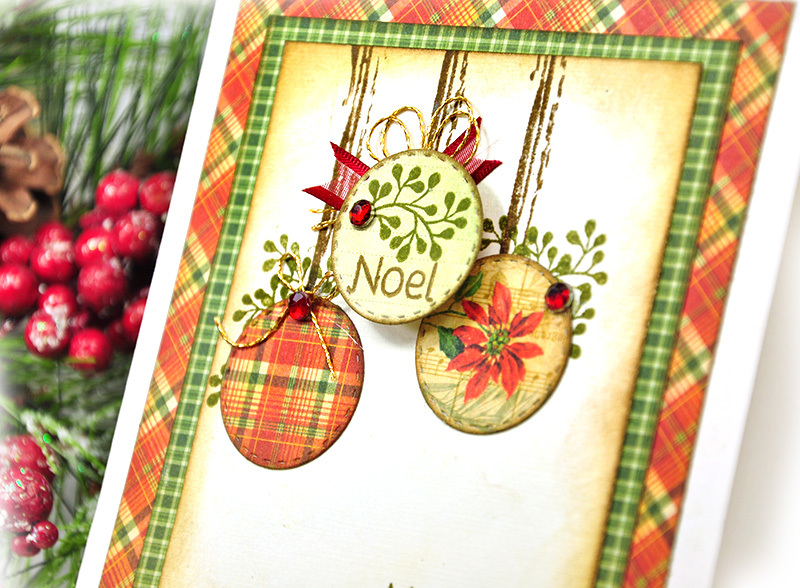 I'm talking about making Christmas cards. 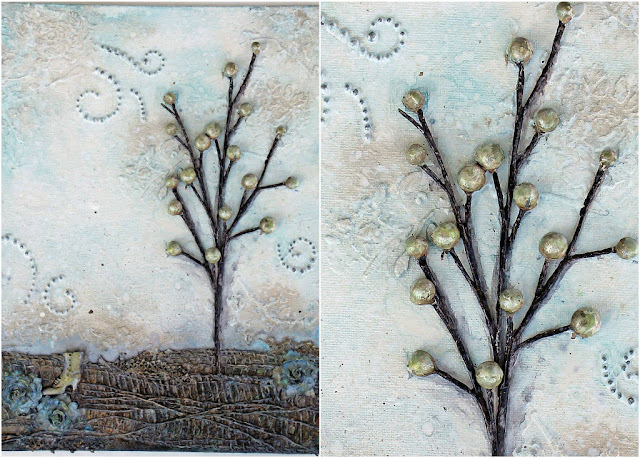 I have found that if I don't make my Christmas cards with the onset of autumn, they aren't getting done in time. Reason being that this time of year starts to time warp on us, doesn't it? If you have kids in school, you are busy with after school activities, sports, dance, music, scouts, teacher conferences and homework. The rest of us without school age kids, our day gets abbreviated due to the lack of sunlight. The change from daylight savings time is a killer for me. 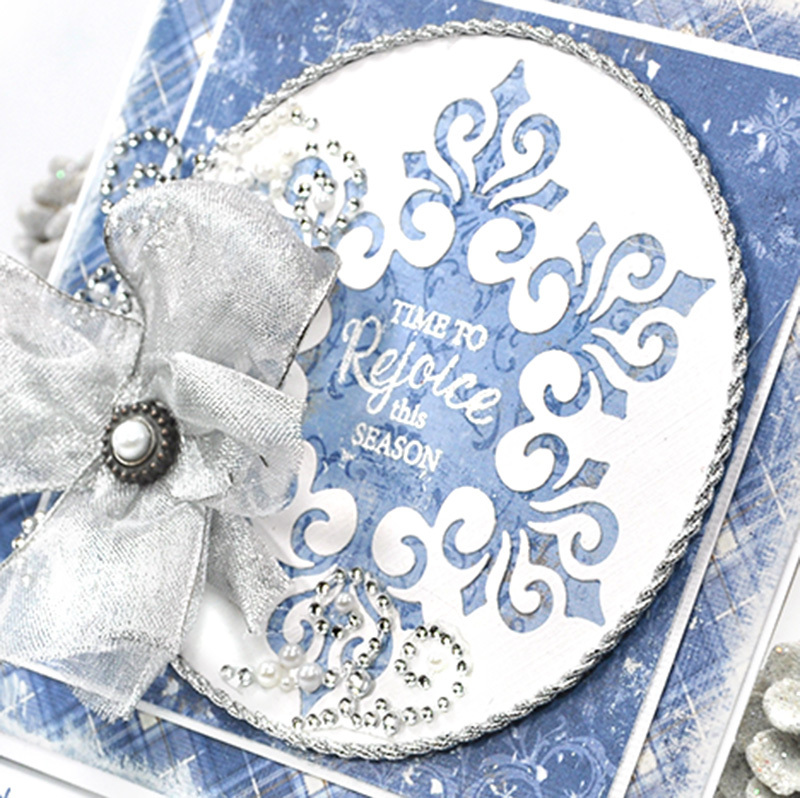 Well, in my opinion, it's a perfect time to get to the craft table and start dreaming of a white Christmas. 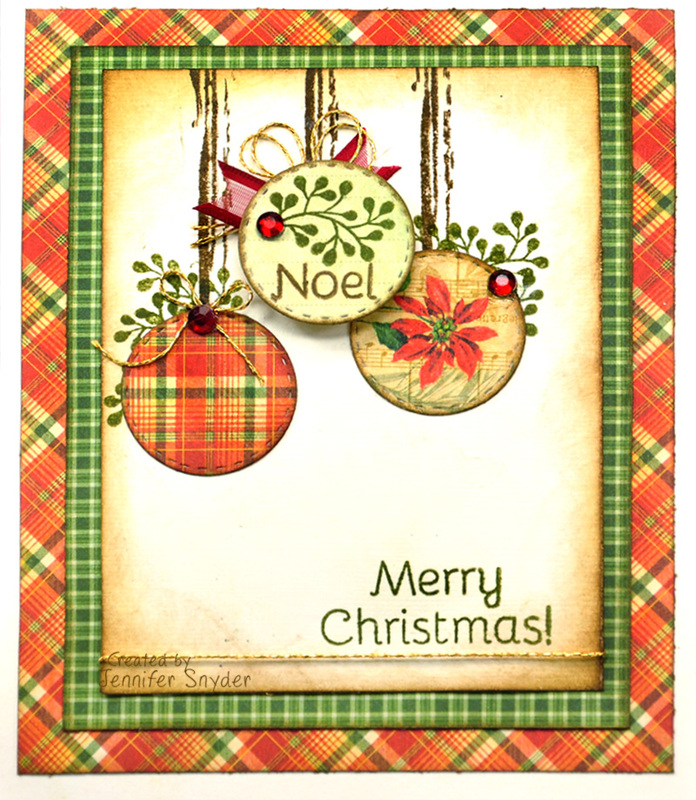 With that, I can then get myself in a spirited and cheerful mood to create cards with my JustRite stamps and dies. 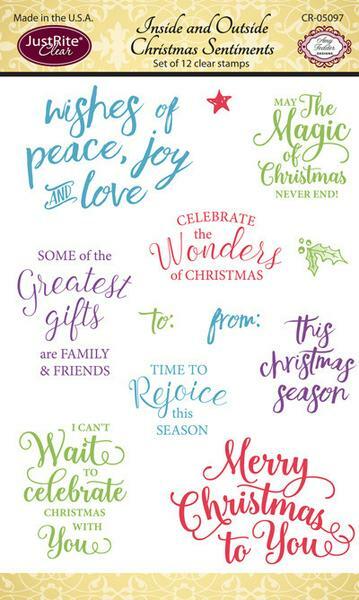 JustRites Inside and Outside Christmas Sentiments Clear Stamps. 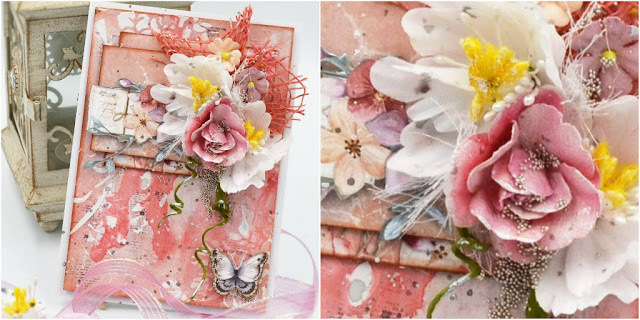 This card looks likes like it could be difficult to make, but the embellishments consist of a few JustRite dies topped with flowers. 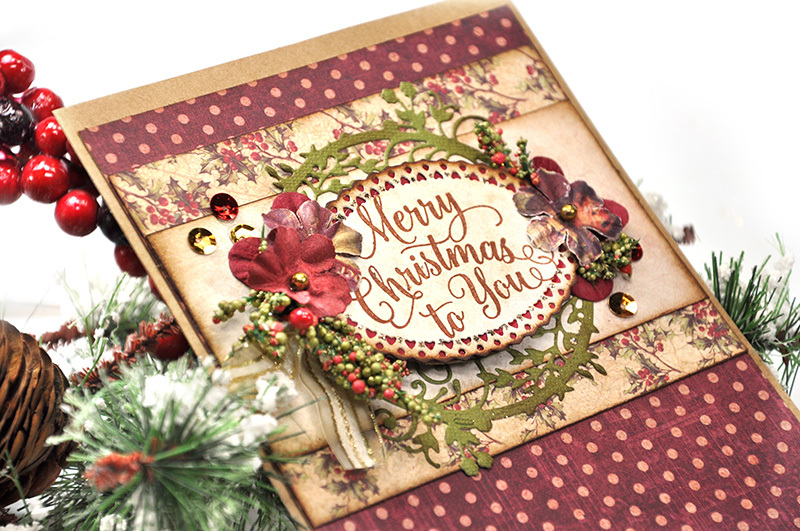 In addition to the beautiful Prima paper from Frank Garcia's Victorian Christmas collection, I added the JustRite JustRite Garden Circle Die as the base layer of my embellishment cluster. Next, I stamped the sentiment onto a die that I cut from JustRite called JustRite Joy Oval Frame Die - DIE05049. 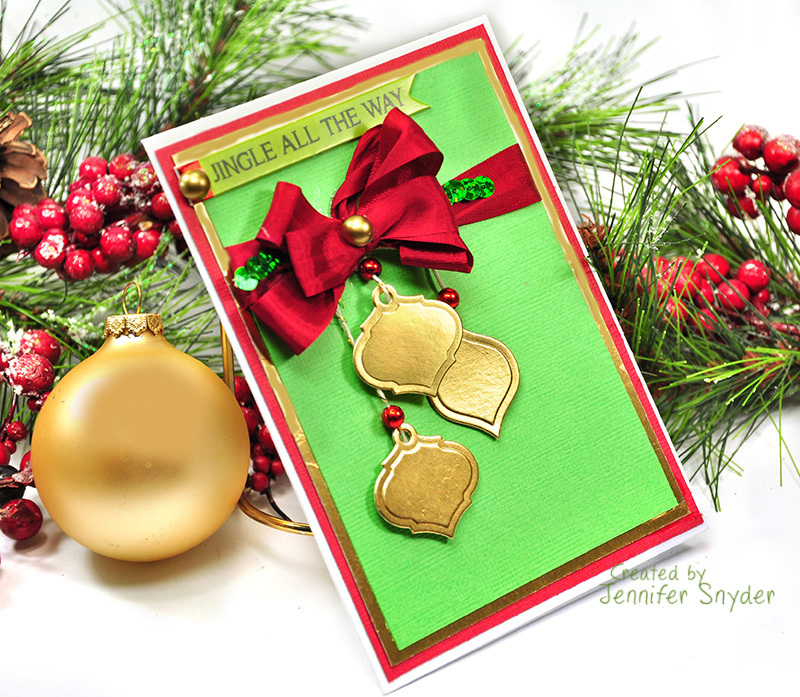 The key to a warm card is using warm colored ink for the stamped sentiment. Black ink is not the perfect all-purpose ink. 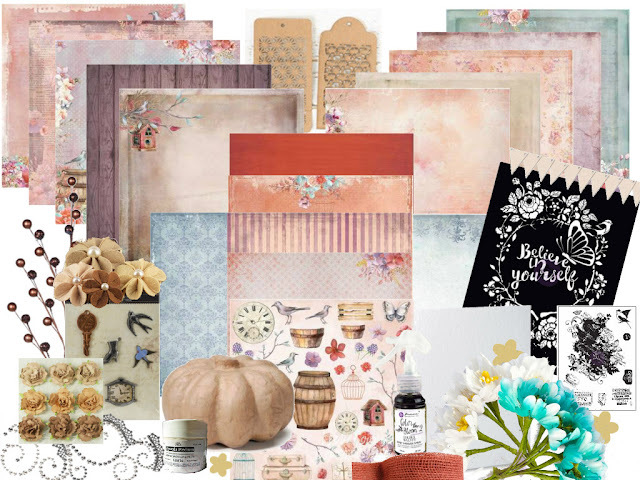 I am using a warm coffee colored ink for a soft blended look. I know I tend to show a lot of images of the same card. I love to show a lot of angles of the cards and projects I create. It's good to see the dimensions and volume of the card from many angles. I think it helps in trying to figure out how I layered and constructed the project. Thanks for stopping by. Let me be the first to say Merry Christmas....early. Too soon to create Christmas cards? nonsense. 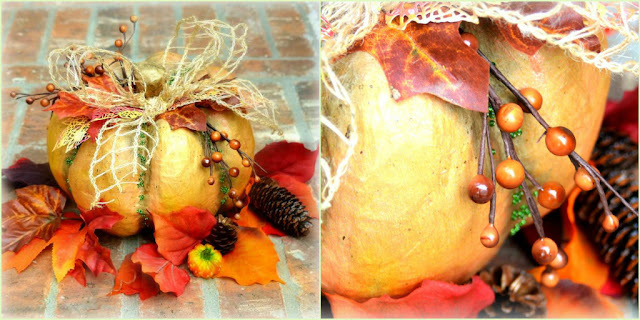 Seems that as Autumn sets in, lives become hectic making time travel forward at the speed of light. This is the perfect opportunity to work those Christmas cards into the craft table now, instead of later ( which in my case means after Christmas or never). 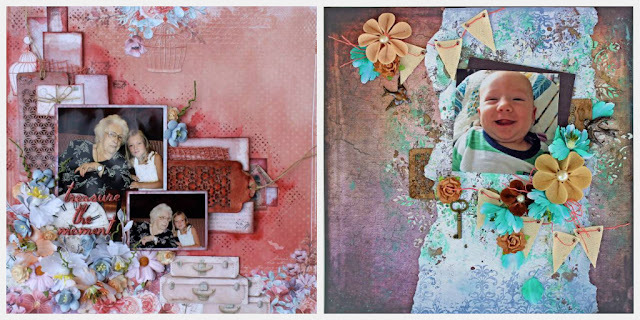 I also struggle with sentiments on my cards. I have horrible writing - like that of a small child. 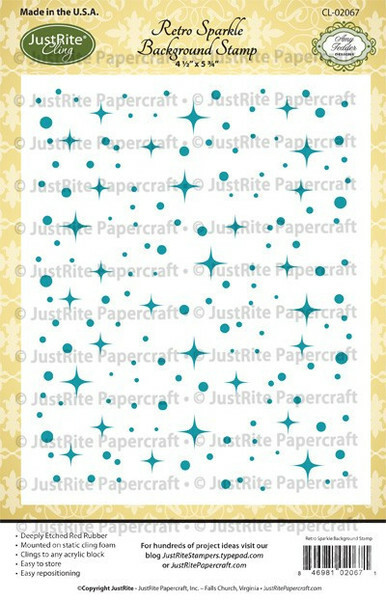 JustRite has solved this particular problem for me with their amazing sentiment clear stamps. The newest sets from JustRite are appropriate religious themed sentiments for Christmas if that is what you prefer. I chose a stamp set for winter. 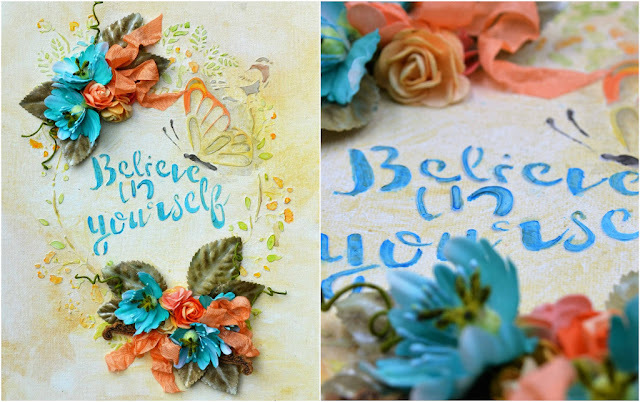 This is a closeup of the details of the sentiment stamp and the beauty of the background stamp. I added some pearl dots to accentuate. 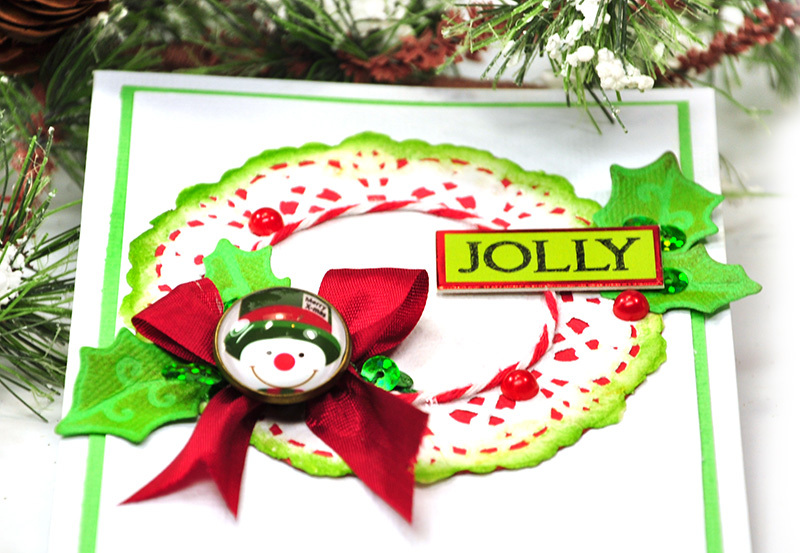 Start your winter, holiday, Christmas and year round stamps with JustRite. 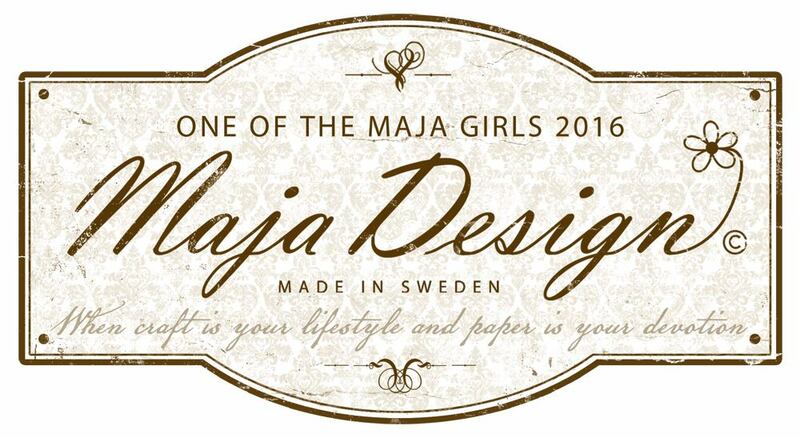 You can find their entire amazing selection right here. And as always - thanks for giving up a little of your precious time to visit me.